Posted in: Chris Beverley, English Democrats, EU Election Campaign, Yorkshire, Yorkshire & Humber. Tagged: Chris Beverley, English Democrats, Rail Subsidies. 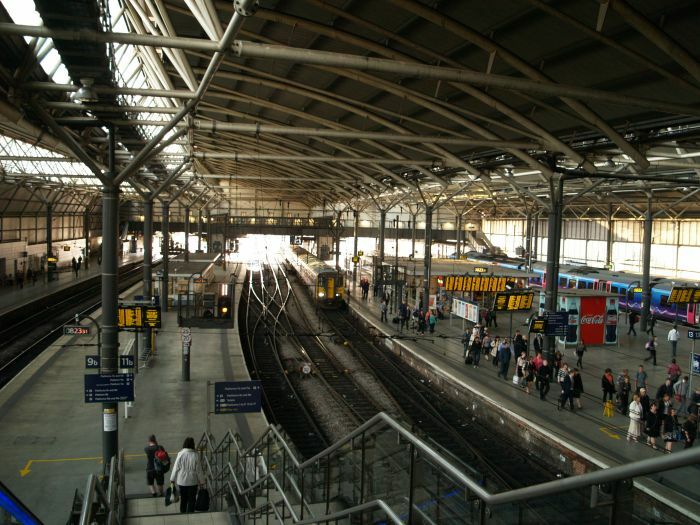 Chris Beverley, English Democrats candidate for Yorkshire and the Humber in the European Elections, has called for England to receive its fair share of funding for rail subsidies following the publication of a report showing that England lags behind the rest of the United Kingdom in this area. Figures released by the Office of Rail Regulation (ORR) reveal that government funding varied from £2.19 for every passenger journey in England to £7.60 per passenger journey in Scotland and £9.33 for passengers in Wales. The report also highlights the overall cost to the taxpayer of subsidising private rail companies, which came to over £4 billion, representing 30.9 per cent of the rail industry’s total income. Chris said; “It is wholly wrong that England is not receiving its fair share of this subsidy, but sadly this is the sort of treatment that is to be expected from a British establishment which takes taxpayers in England for granted. “This report also shows that all bar one of the UK’s privatised rail companies rely on taxpayer funding to keep them profitable. Taxpayers money should be used to improve our rail network; it should not end up in the pockets of shareholders.